RATE IT! Dogs in Space DVD Release - Update! RATE IT! Big Brother is Back! RATE IT! Finally...a MJ-Free Cover! File this one under 'what will they think of next'. 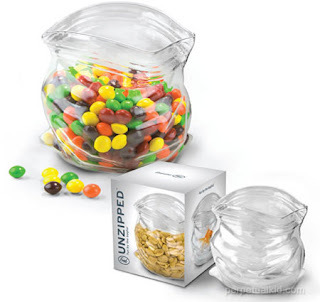 A hand-blown candy dish modeled after a disposable zip loc bag. Serve up some treats & make a statement all at the same time.